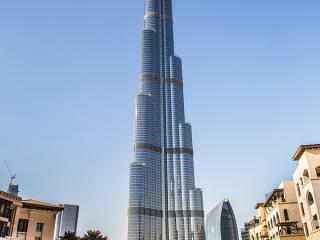 The only 7 star hotel in the world, this iconic building is the four-tallest hotel in the world and dominates the city skyline. The forecourt features a fleet of white Rolls Royce's while the foyer is home to dancing fountains and gold leaf can be found almost everywhere. The hotel's exterior is supremely impressive and although its real beauty is on the outside, many people can't help but want to check out the inside. However the only way to do that other than booking a room is to make a reservation at one of the expensive bars and restaurants. The world's tallest building, Burj Khalifa is conveniently located close to popular hotels, entertainment and shopping destinations and is also the ideal place to enjoy amazing views of the city of Dubai. Home to the outdoor observation deck known as 'At the Top', the deck is located on the 124th floor and features a telescope that offers real-time views of the surrounding landscapes as well as access to images saved previously, allowing visitors to see vistas from the deck taken in different weather conditions or at different times of the day. 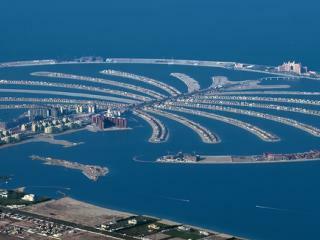 Perhaps the boldest megaproject of Dubai, the Palm Islands are a collection of offshore reclaimed man-made islands that form the shape of a palm tree surrounded by a crescent. There are three islands in total, the first Jumeirah followed by Jebel Ali and Deira, as well as a nearby archipelago known as The World due to their formation creating a miniature world map. The islands are home to luxury hotels as well as beachside residential apartments and villas, health spas, sporting facilities, marinas, shopping malls, restaurants, water theme parks and more. 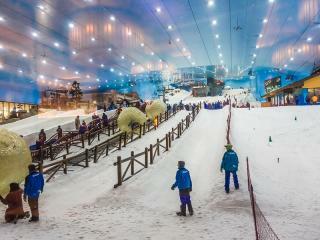 Located within Dubai Mall, Ski Dubai is Middle East's first indoor ski slope and the third largest in the world. 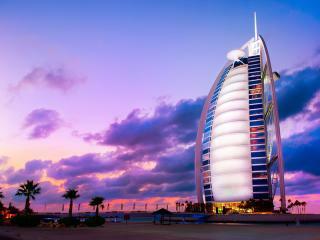 Featuring a chair lift, t-bar, 10 ramp, freestyle zone, a remarkable colony of Kind and Gentoo snow penguins and 6,000 tonnes of snow, Ski Dubai is a family friendly attraction that caters to all skill levels. Qualified instructors are available to teach you the basics or help you to improve your skills while experienced skiers can enjoy practicing jumps and tricks in a dedicated zone. Several screenings of March of the Penguins are available for free throughout the day for Ski Dubai guests. 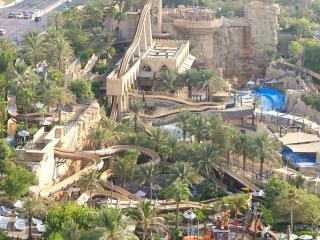 Located right in front of Dubai's famous Burj Al Arab, Wild Wadi is a popular water theme park centered around the Arabian folklore tale of Juha. A favorite attraction among families, the park is home to more than 30 rides and attractions including a cooled/heated wave pool, a number of water slides as well as two simulated surfing machines. The park also boasts an 18m waterfall that activates every 10 minutes, three restaurants, two snack kiosks and two gift shops. 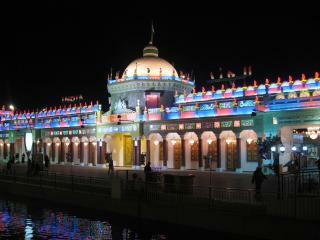 Located in the Dubailand entertainment complex on Sheikh Mohammed Bin Zayed Road, Global Village is an exciting and unique annual cultural, leisure, entertainment and tourism destination that takes place from November to March each year. Offering a huge selection of multicultural retail and entertainment options, the international shopping experience that attractions approximately 7 million visitors each year.